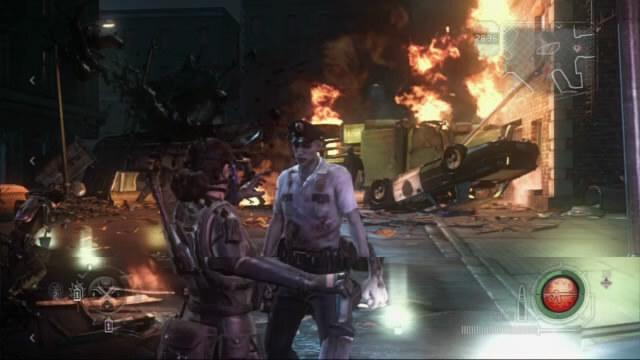 All hell is about to break loose in Raccoon City. Delta Team is on its way to assist HUNK in dealing with a traitor to Umbrella…Dr. William Birkin. U.S. SpecOps is about to receive the G-Virus from the traitor until something unexpected happens: Dr. Birkin injects himself and throws everything into a tailspin. 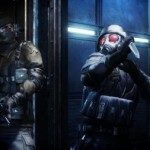 The ensuing fallout and subsequent T-Virus outbreak leave Delta Team to be blamed, and Umbrella aims to make them fix the mistake by eliminating ALL evidence of the company’s involvement. 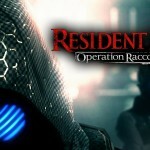 Fans of the Resident Evil (RE) series have been looking forward to this game as a stop-gap until RE 6 comes out. 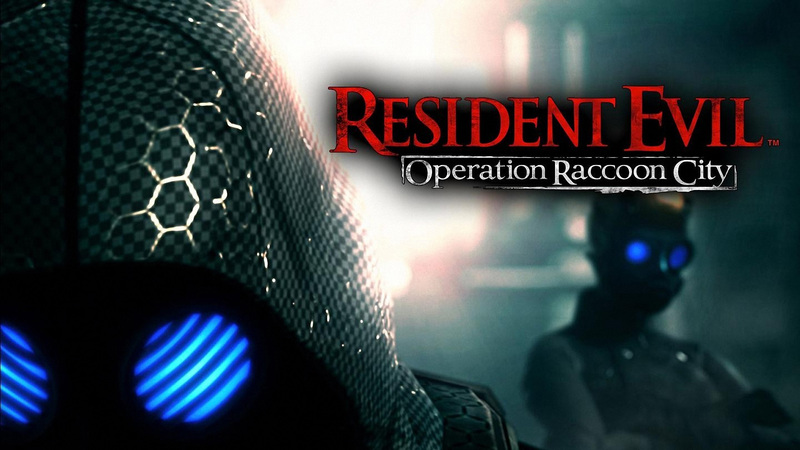 What made this game unique in the series is that Resident Evil: Operation Raccoon City (ORC) is not your typical RE game. This time, ORC is run on a wonderful gaming engine, does away with the inventory system, brings in the element of a third-person shooter, and has the most advanced graphics seen in any RE game thus far. It also gained a little hype with some very wonderful and beautifully crafted CGI trailers and a teaser trailer detailing an interesting part of the story: the goal to kill Leon Kennedy! Yet, for all that was built into the game, the plot is actually very basic and straightforward. The campaign features no direct clash with Echo Six like one of the trailers hints. 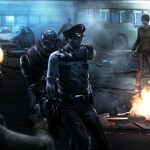 Dr. Brinkin uses the G-Virus on himself, a T-Virus outbreak happens later, and Delta Team is blamed. Afterwards, it’s just basic cleanup and Umbrella blaming Delta Team. The rest of the plot then becomes a hiccup regarding the U.S. Government being involved but unexplained, Delta Team being betrayed, and fighting for survival. While the plot is relatively cliché, it is still engaging and fun to piece together. Aside from the campaign, there is a multiplayer option, in which the gaming style is the same but modes vary. 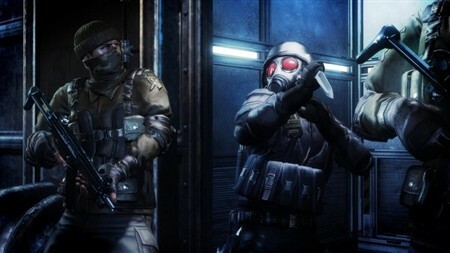 Gameplay in multiplayer consists of game modes based on teamwork, either racking up the most kills, collecting the most G-Virus samples, survival, or dealing with the Hero characters. 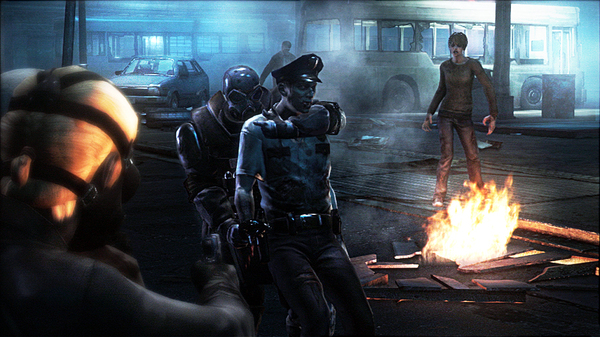 The rules of each mode are simple and rely on teamwork because lone-wolfing it can often result in ambushes, not just from the opposing team, but zombies as well. Characters in the game are mercenaries serving as Umbrella Security Service operatives and, unfortunately, are not very well fleshed out. Their individual stories are given in the description during character selection and nothing more. Personalities of the characters are not developed during gameplay either. They are your typical mercenary band with their own specializations. The only characters that are familiar to the player are HUNK, Leon, Ada, Sherry, and Clair, and even those characters are not fleshed out or explained beyond just being a part of the story. Audio in the game was relatively poor and often failed to come through due to the zombies constantly screaming. Gunfire and explosions often sounded off- key, and other background noises were not quite right, either. The visual aspect of the game was nice, and well within the capabilities of the systems they were designed to be played on. It makes the game look relatively seamless and adds a slight bit of authenticity to the genre. There are occasional graphics glitches that occur, but mainly interfere with weapon accuracy when they do. This issue is most often encountered with scoped rifles and leads to plenty of frustration. Gameplay was very impressive, especially after the frustration seen in RE 5, with piss-poor allies, a very poor AI, and a lack of handling ease. ORC handles as well as a fine- tuned race car, and has very few hang-ups due to its graphics engine. The game is a true third-person shooter that relies on accuracy, control, and reaction times. Zombies and humans alike react to where they are hit, and tactical thought needs to at least be considered in the game. The abilities of each character also let the gamer pick what they want to run and how best to stay alive. The only real mark against the gameplay is that it is best done with other people in a co-op mode. Even just one more player makes a major difference as running the 3 AI characters can force you to slow down to compensate for their poor aim and penchant for finding trouble (flames, bombs, etc.) and getting hurt as a result of it. In spite of that, the gameplay is among the most enjoyable of recent games and provides a reason to play again. Standard-ish audio, minor glitching but great graphics, basic characters and plot, and wonderful gameplay that is responsive and behaves like a true shooter. Good for any RE fan that can get over the icky feeling of playing for Umbrella forces. But, this is one that not everyone will immediately fall in love with. Rent first to make sure that it will be your type of game.